Lady Washington, the ship that starred in "Pirates of the Caribbean: The Curse of the Black Pearl," comes to Redwood City March 31. Photo by Thomas Hyde. This week, take part in a canon battle at sea, hear a concert by a singing Jewish cowboy and take the whole family to the first-ever Cubberley Community Day. Ahoy, all you lovers of maritime culture (and those who treasure the vision of Johnny Depp in eyeshadow): The ship that starred in 2003's "Pirates of the Caribbean: The Curse of the Black Pearl" sails into the Port of Redwood City on March 31. Based in Aberdeen, Washington, Lady Washington played the British Royal Navy's HMS Interceptor in the blockbuster film that spawned its own series of swashbucklers (the fifth, "Dead Men Tell No Tales," is due out in 2017). Between April 1 and 12, the public is invited to come aboard for tours and even take part in three-hour "battle sails" designed to recreate an 18th-century skirmish at sea, complete with cannon fire. Built in 1989, Lady Washington's mast rises 89 feet from the water, and she measures 112 feet from bow to stern. Her slightly smaller companion ship, Hawaiian Chieftain, will join her for both tours and cannon battles. A $3 donation per person is requested for self-guided walk-on tours. Tickets for the battle sails range from $39-$75. Go to historicalseaport.org or call 800-200-5239. What's more unlikely than a Jewish cowboy? A singing Jewish cowboy, of course. This Sunday afternoon, entertainer Scott Gerber will give a free public concert in Los Altos Hills. Raised on a Petaluma chicken ranch, Gerber grew up playing the guitar and singing Yiddish socialist ballads taught to him by his mother and his bubbe. 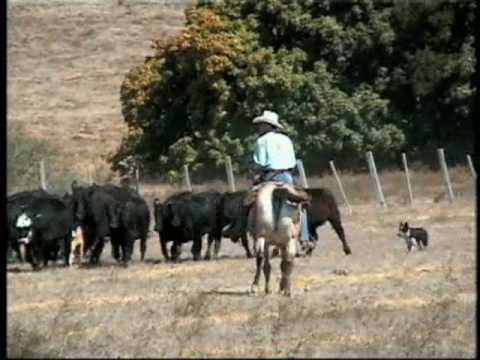 Though he has worked as a chicken rancher and also tried his hand at sheep shearing and orchard work, Gerber is a true cowboy who feels most at home in the saddle, herding and branding cattle. On the program are a number of Yiddish favorites including "Zuntig Bulbes" ("Sunday Potatoes") and "Bin Ich Mir a Shnayder" ("I'm a Little Tailor"), as well as a few of Gerber's original melodies. He'll be accompanied on violin by his longtime musical partner, Gus Garelick. Gerber is also the subject of the 2002 documentary short, "Song of a Jewish Cowboy," which will screen as part of Sunday's program. The event takes place in the Sanctuary of Congregation Beth Am, 26750 Arastradero Road, Los Altos Hills, on Sunday, March 29, at 2 p.m. The show is free and open to the public. To learn more, go to betham.org. Community centers are hubs of social and creative activity, yet they often go unsung. This weekend, there's a chance to rectify that oversight. On Saturday, March 28, the City of Palo Alto's Cubberley Community Center (4000 Middlefield Road) will hold its first-ever Community Day. With tasty food, live music, children's activities including face painting and a balloon artist, demonstrations by Cubberley tenants and volunteer opportunities including tree planting, it promises to be a fun, family-friendly day of community celebration. If you're already familiar with the Center, this is your chance to connect and give back. If you're not, it's a perfect way to get acquainted with all they have to offer, from community meetings, seminars and performances to music rehearsals and athletic events. On Saturday, volunteer activities will run from 9 a.m. to 1 p.m., with demonstrations taking place between 11 a.m. and 2 p.m. Parking is limited; neighbors are encouraged to walk to the event. To learn more, go to cityofpaloalto.org or call 650-329-2418.